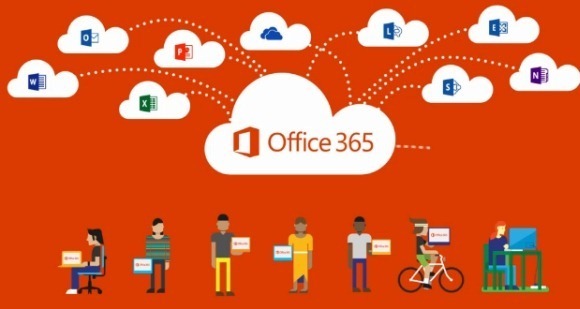 In a previous post we brought you a detailed overview of Office 365 and also explained the pros and cons of using it. Now, let’s explore the various plans offered by Microsoft and see which plan might suit your needs. Below is a list of different Office 365 features, with detailed information about Office 365 pricing and plan comparison. Available Apps: PowerPoint, Word, Excel, Access, Outlook, OneNote, Outlook and Publisher. Devices: Can be used on a single computer (PC or Mac) and 1 tablet. Perks: 20GB extra OneDrive Space for 1 user, 60 Skype minutes per month for making international calls. Devices: Can be used on 5 (PCs or Macs) and 5 tablets. Perks: 20GB extra OneDrive Space for up to 5 users, 60 Skype minutes for making international calls (per month). Available Apps: PowerPoint, Word, Excel, Access, OneNote, Outlook and Microsoft Lync. Note: This unlike other Office 365 plans is not a web based version. It is installed locally on the user’s computer. These plans have a starting price of $4 per user per month and come with various features like business class email, Active Directory integration, file storage, file sharing and unlimited users. 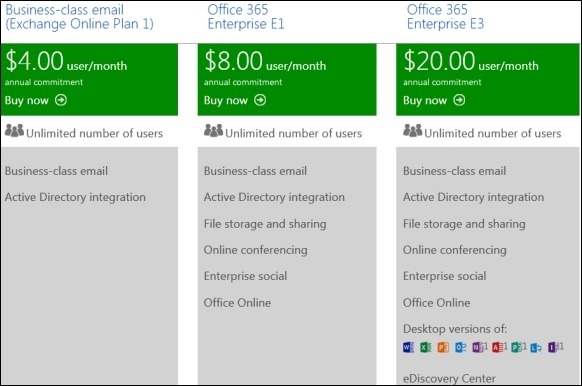 An overview of the Enterprise plans for Office 365 is shown below. Available Apps: This is a 4 year plan for educational institutes which offers full desktop versions of PowerPoint, Word, Excel, OneNote and Outlook. Devices: Can be used on 2 (PCs, Macs, Windows tablets or iPads). Perks: 20GB extra OneDrive Space for up to 5 users, 60 Skype minutes for making international calls per month in 8 countries and 60+ landlines. You can also explore Office 365 packages and comparisons from the link given below.